This time around, instead of art reviews, we thought it would be interesting to look at art museum reviews. Luckily, there’s a large amount of review information on TripAdvisor, but reading through every review would be too overwhelming, so we looked at total number of reviews for each art museum. This will tell us which museums are being visited and talked about most. Searching “art museum” on TripAdvisor gives a list of places that have a mention of this key phrase, but some of the places may be history museums or other specialty museums. We narrowed the list down to only museums with a significant art collection and selected 20 with the most reviews. The list of the 20 art museums reveals a couple of interesting things. First, this shows the relative popularity of the museums. Art museums in major tourist areas will tend to have more reviews, but the museums themselves are a reason why certain areas are major tourist centers. The second thing to note is that these are all Western art museums. TripAdvisor is mostly used by English speakers so art museums in non-Western parts of the world will be underrepresented on the site. If we compiled reviews from an Asian travel website, the list would still include many of these Western museums, but not all. 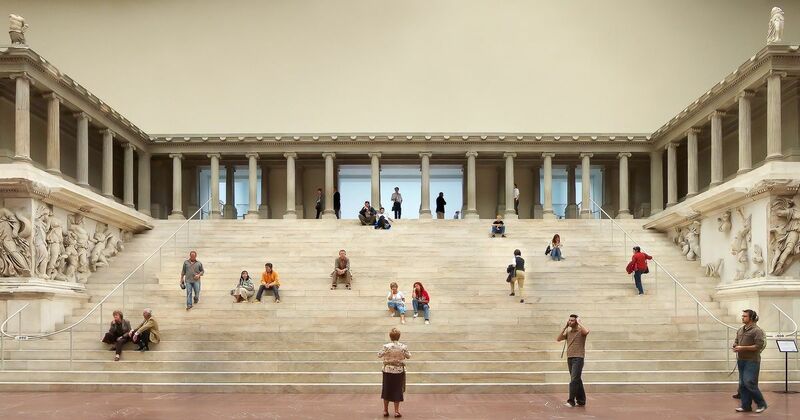 Nonetheless, this list represents some of the most loved art museums in the world. If you have a bucket list of museums to visit, make sure these are on there! The number of reviews changes daily. The numbers for this list are from Oct. 8, 2018.